SEO is definitely changing and we as content marketers need to keep up with the pace so that we get the benefit of optimization. The bad thing is that when something doesn't work, we keep on trying on the same skills, harder. Lets take a step back change our action plans, so we do the right thing and not something which keeps on changing from time to time. Craving for the secret SEO. Common in. It is the core for any content marketing. You need to get the initial traction and some good signals to search engines. People and bots are different. Your readers won't mind a broken link or short content as long it is consumable. When you don't think of optimizing the page when writing content, is when you truly deliver the epic content. Blast off your content to all channels and followers and make sure you get a good on time engagement. If you are in niche market, then you are good to blast an email. If you are writing on multiple topics, then you should allow subscribers to choose the topic while subscribing. So, you deliver the great content of a specific topic to your interested followers. Remember, when you freely write, most of the on page SEO is automatically done like latent keyword, long tail keyword. Most of our time is often devoted to link building on authority websites, the same amount needs to be dedicated to interlink all your blog post. There are two SEO benefits for interlinking. The crawlers accessing your page will go through the various sections of your website and it will treated as a strong empire rather than a loosely bounded sheets of articles. You don't have to link all the word like Wikipedia does. Just keep it natural and try using different linking words then exact keyword. The on time page of your website will increase, as people tend to click on links in articles more than in sidebar or in footer. So, if a visitor comes from search engine then your website's overall bounce rate will go less. Start interlinking now and reap the benefits forever. Spam is not good, yet it happens in all the big places including youtube. For website owners and bloggers, it is crucial that they keep on eliminating spam content from users on timely basis. 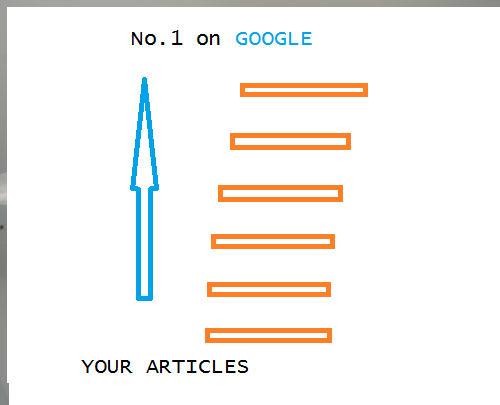 This will keep the real readers experience nice and will not trigger any spam control bots by search engines. The user generated spam doesn't seems to have an immediate effect, but once it gets in radar of the search bots, they keep coming for more to search in all corners. Some of your pages may even get a penalty from Google. User generated spam often happens in forums of your website and always in your superb nice viral article. Now you know where to look for spam. Simply keep it clean and it is your responsibility. There is a notion, content creation is all about writing 2000 words of quality information, it is much more to audience. The more diverse your content are, the more readership you will gather. Podcast's, infograph's, e-book, gif's, video and all sorts of user friendly and viral contents. Know your readers and give them all, this way you will reach the masses, you never reached before. The algorithm of search engines are designed in such a way, that it tries to give users more rich experience. The more happy the user is, the more good signals will flow to the search engines. Don't just create all types of content, experiment to see which performs well and then go for it. Traffic and SEO goes in hand in hand for many of us, get your hands on all the evergreen methods and build a good loyal following. The magic won't happen overnight. All good things take time, so does this, give your focus and reap a rewarding standing in the near future. 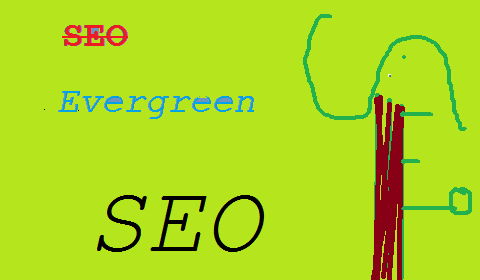 How you all do the evergreen SEO?